Recently, I was in a Bible study group that was discussing Noah and the ark. The account of what happened in those days is rich with topics of consideration. Why did God choose to flood the entire earth? Why did He choose to spare Noah and his family? How did Noah have continual faith when God was asking him to do things he didn’t fully understand? What made his wife and his sons and their wives have faith, as well? Why did they choose to stick with Noah as he obeyed God and built the ark? One thing stands out to me in this biblical account. Noah obeyed God even when it likely did not make sense to him. 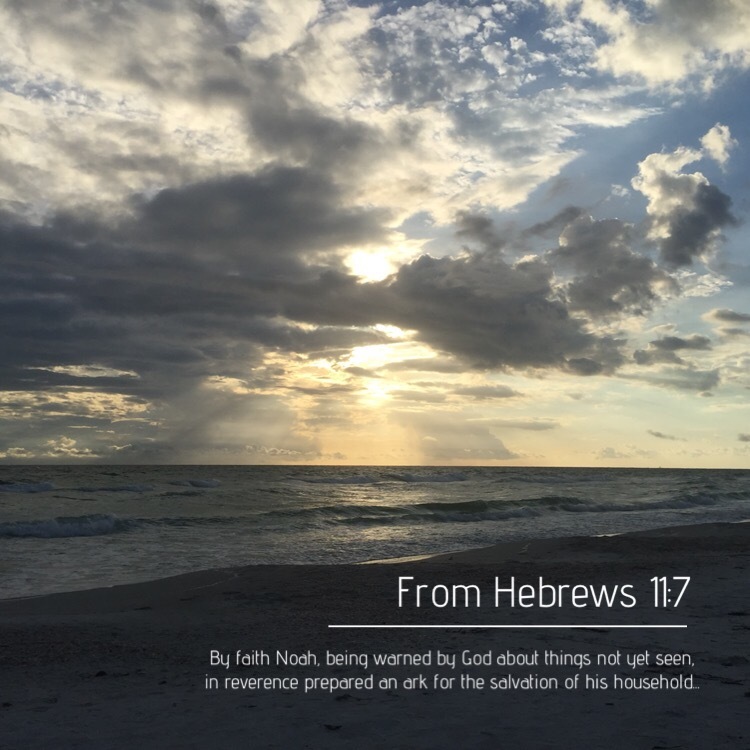 This entry was posted in Bible verses on photos, Inspirational photography and tagged faith, Noah, trust.